The Blindsmax team has worked with thousands of businesses nationwide to provide a wide variety of quality commercial window coverings at competitive prices. We don't mess around... ALL of our blinds and shades come with a low price guarantee. Our commercial & contract specialist will make sure that all of your requirements for automation, privacy, light control, safety, and style are met within your budget. To request product information or request a personalized quote, contact a member of our commercial department. Call us: 1-888-305-8020 Monday - Friday: 9am - 5pm EST. Whatever your need is, we will go above and beyond to give you excellent and professional service. We believe in helping you find what you need easily, acquire it with a low price guaranteed, and that you will return again with your next project, knowing that you will always be more than satisfied. We are not just a web-based company… we are real people, at a real location, and we are ready to assist you. 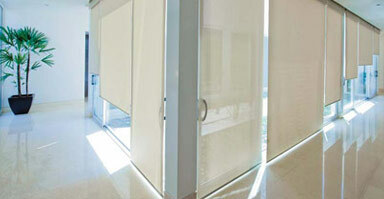 Blindsmax offers both vertical blinds and horizontal blinds in a wide range of colors, sizes, and materials. 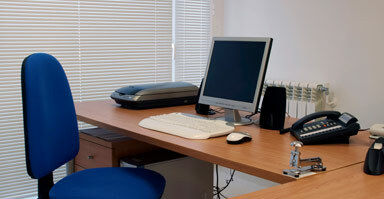 Commercial window blinds offer the greatest control over the level of light and privacy in a room. Available with both motorized and cordless options, these blinds are very easy to use, provide a clean uncluttered look, and are perfect for areas where there may be children, pets, or high traffic. Let us show you how our selection of attractive energy efficient commercial window shades can cut operating costs by controlling light and conserving energy. 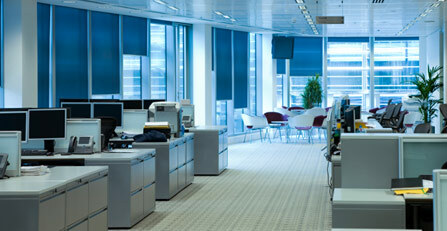 Solar shades for example, combine superior UV reduction as well as glare elimination and brightness control while still allowing a much greater use of natural light throughout the day. Blackout shades are the best choice if you need to darken a room and are ideal for libraries, hospitals, hotel rooms, office buildings and more. 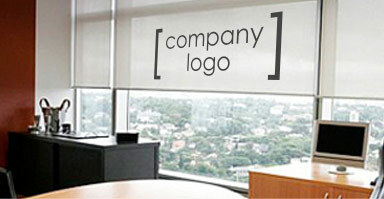 Shades can be completely customized to fit any environment from playful to corporate. We offer a custom design service that allows you to print anything on a shade! Create custom logos, perfectly match your location's decor or theme, practically anything you envision can be printed onto a roller shade or cellular shade. Get perfect unique designer window covering results at a do-it-yourself price! Unless you need a very simple look, why settle for the exact same window shade patterns and colors offered by everyone else? 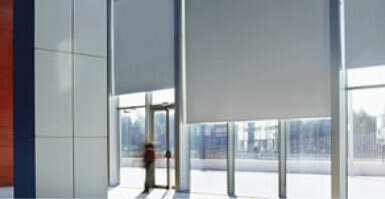 Our remote control blinds and electric shades are the perfect solution for conference rooms, hard to reach areas, executive offices, and large windows. Our motorized shades use radio frequency control which eliminates the need to point the remote at the shades themselves for more enhanced control. This type of control can be combined with programmable timers for full automation of your window coverings.